As adventurous as I am with fashion when it comes to denim, I can be very stuck in my ways. I could say it's simply because I know what I like but I think it also has a bit to do with my comfort zone. This might sound a bit crazy but I'm much more comfortable with really fashion forward and trendy denim than I am with the classics. The skinny jean came into our lives and I was almost automatically in an exclusive relationship. Enter the boyfriend jean popped up and boom, love at first sight. Then the high waisted mom jean, now flared. I'm so in! But, show me a classic dark denim style and I'm all, no thanks. 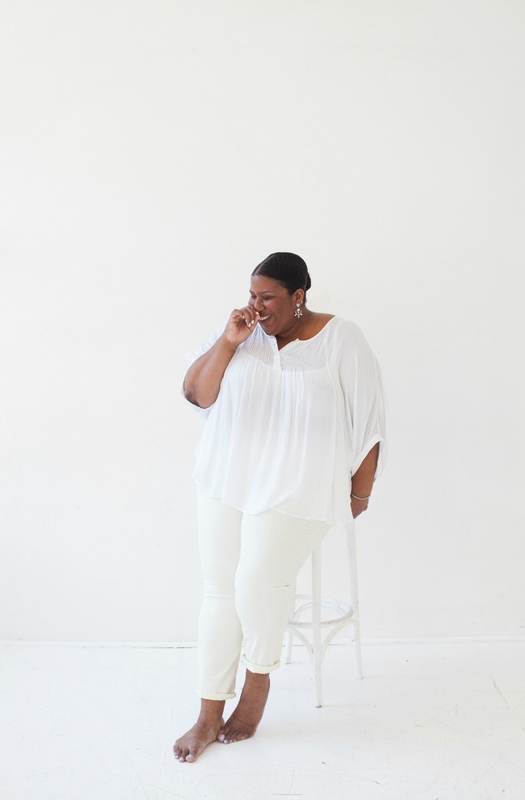 When Target dared me to take a few pairs of jeans for a test run, my "norm" and something outside of my comfort zone. 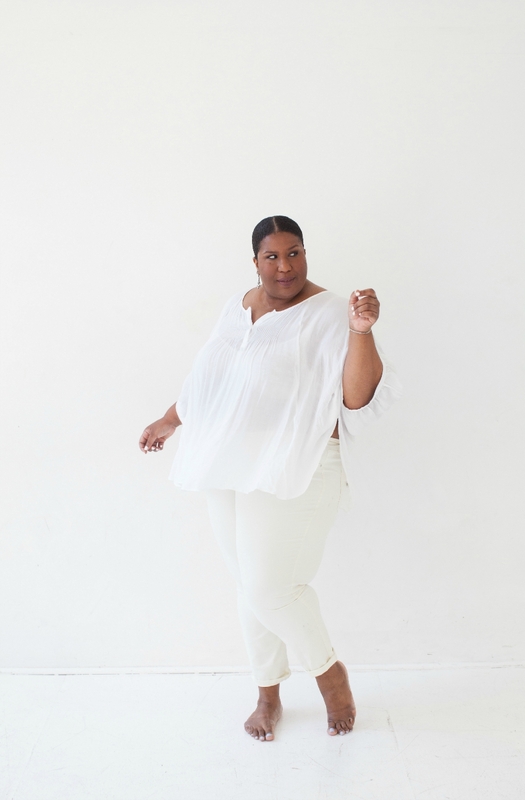 I decided that that a pair of white (cream really…) jeans would fit perfectly into what I usually gravitate toward and a classic pair would be something I'd need a dare to try. I chose similar shapes – slim fit skinnies but how could I make them both work for me? 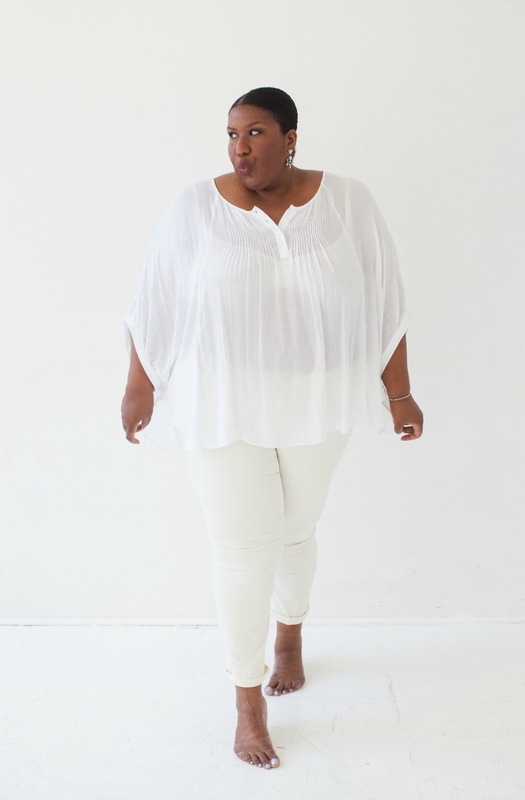 All white is all me and so the was a natural fit. I love the stretchy light weight denim. A flowy peasant top is so easy and summery. 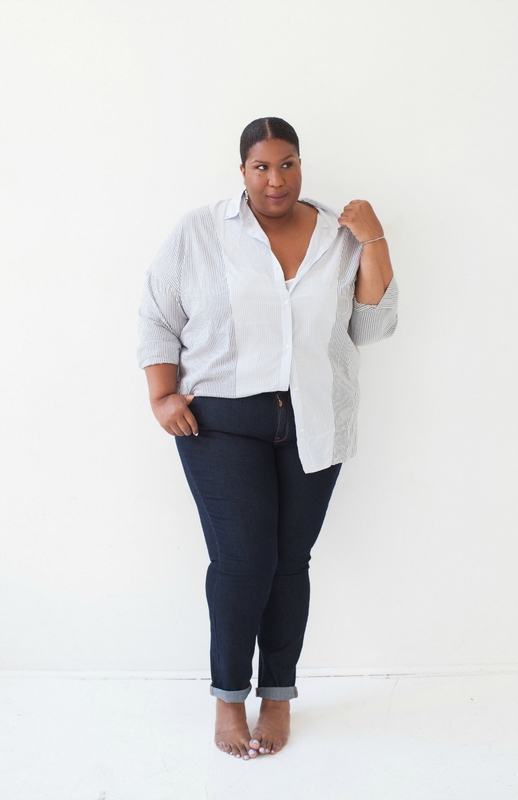 For the classic dark denim I decided to lean into the classic vibe even more with a stripped button down but what made it me is that both jeans are rolled into my favorite cropped length and the stripped shirt is oversized and relaxed. My dare for myself might be a bit in reverse since I like living on the edge a bit but I dare you guys to try on a pair of jeans that you wouldn't normally try – which kind will you dare to wear?